Let me tell you the honest truth…for many years all I did was open up ornament boxes, load up the Christmas tree, stand back, and wonder…is this it? I hadn’t studied the art of decorating a tree. I had no plan, no color scheme, just boxes of stuff. And you know what? It was fine. We had fun. The kids put their homemade ornaments front and center with pride, and we were happy. But if you are wanting a “fancy” tree or just want to add more sophistication and style to your Christmas tree, I’m here to say, it’s easy and fun! And the best part is it doesn’t have to cost a lot. It just takes a little planning and a few strategies. Actually, it wasn’t until a few years ago that I began to turn tree decor into an art. 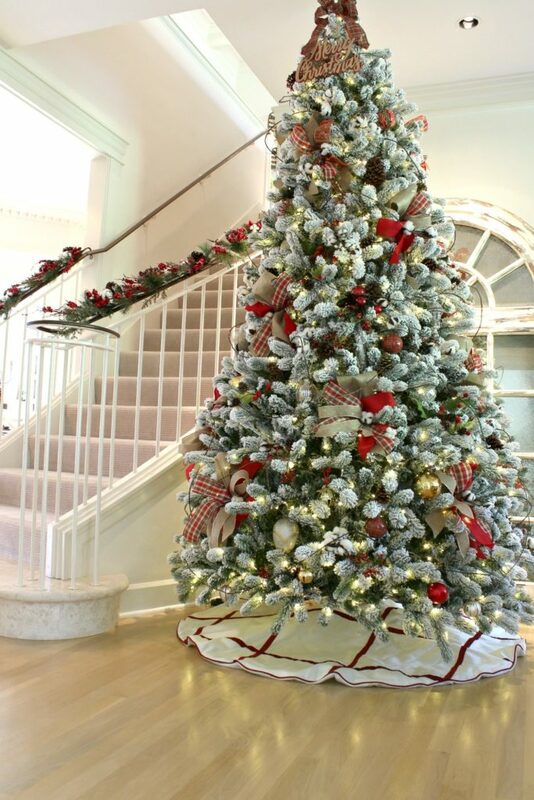 There are so many styles of tree decorating…the options are endless. Sometimes it can be overwhelming. 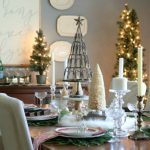 So, I am going to break it down and show you how to create an artistic, swoon-worthy tree with some easy Christmas tree decorating tips. Note: My gorgeous 8 ft. flocked tree this year is from King of Christmas. Want to dazzle your friends, family, and co-workers with a very special gift this Christmas? Customize a gift box of the highest quality teas and tea-drinking accessories that will have them thinking of you all year long. Tea Forte has won us over with their exquisite flavors and quality. Best yet, save 20% across their website using code Julie20 through December 31st. Shop Tea Forte’s beautiful limited edition Holiday selections HERE. First things first, you need to choose a theme. You can choose one theme for your entire Christmas decor so everything works together. Or, you can go room by room. Some people put up several trees and each tree has it’s own theme. If you have a variety of themes throughout your home just be sure that the surrounding area goes together. Your theme can be simply the colors you’ve chosen, or you can define the mood or style and then choose the colors which you will use to express that style. For example, this year before any buying or decorating began I started to brainstorm. What would I do for Christmas? 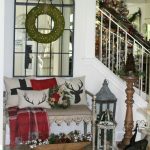 Since my decorating style has been increasingly farmhouse oriented I chose to continue with my holiday decor and create a “Country, Rustic Farmhouse Christmas”. (I made that up!) I mean, decorating isn’t a science…it’s an art. So, like any art, you make it up. It comes from your creativity. Remember that and you’ll have fun and not worry about any “rules!” Every suggestion that follows is just that, a suggestion. In the end, you can do whatever you want! My advice is to look at all you own first, and then shop. I don’t always take my own advice, but you know, we can try! Also, if you have a plan before you begin all the better. I know some of you are planners and some of you have to create organically (as it comes to you). The more you can brainstorm and gather supplies in advance the better the process will be. With these supplies and my easy instructions you will be a master bow maker in no time! So after the lights are on it’s time for BOWS! Bows are relatively inexpensive and easy to create. You can use 2, 3 or 4 different ribbons to create your bows. You’ll want to incorporate all your colors in your bow choices. I suggest using different widths, one wide and “billowy”, two mid-range (approx. 2″), and one thinner (1/2′-1″). My choices this year for my “Country Rustic Farmhouse” theme were the following. I recommend buying ribbon with wire. They often cost a bit more, but in my opinion they are worth it. 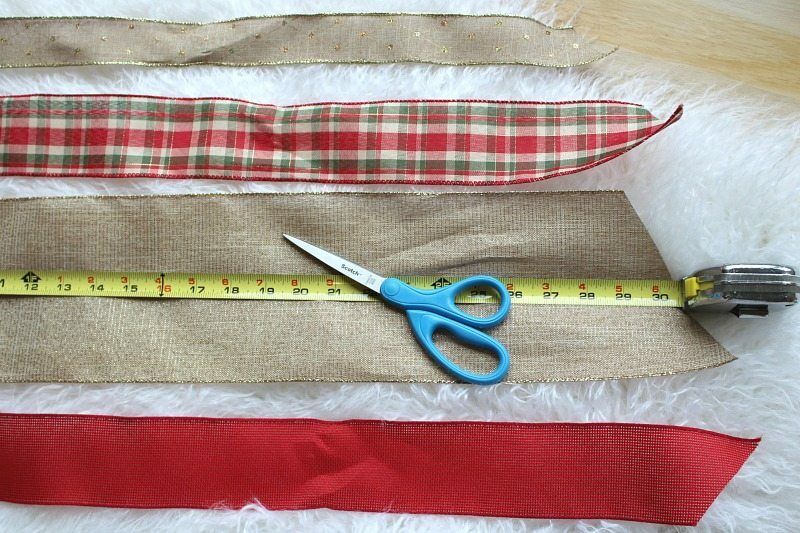 You can shape these ribbons beautifully, and they look great year after year when you bring them out of storage. 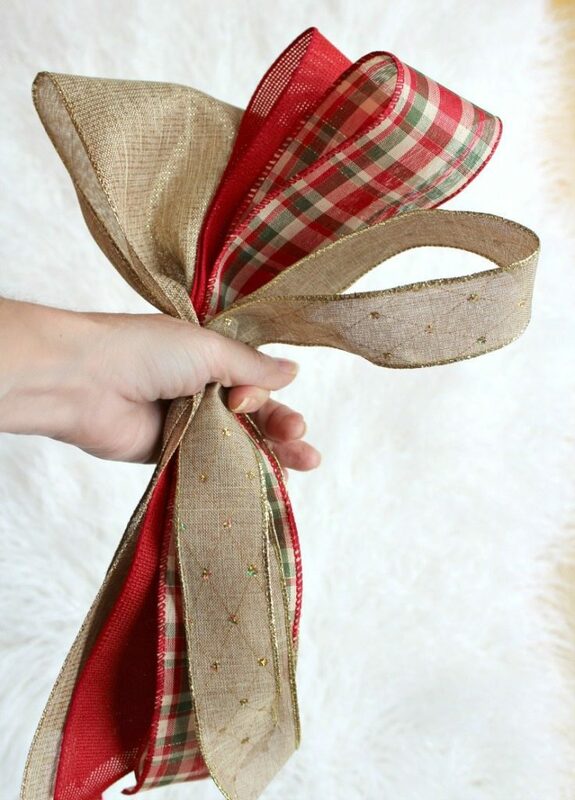 These bows are simple to make and really add the “wow” factor to your tree. To begin, cut approximately 30 inch pieces. Cut your ribbons into approximately 30″ pieces. I recommend using different width ribbons for added interest. Next, fold your pieces in half and grab them all together holding each in a “loop” position. Create whatever size loops you want. This is just one example. Don’t worry too much about how they look yet. You’ll have plenty of opportunity to perfect afterwards. 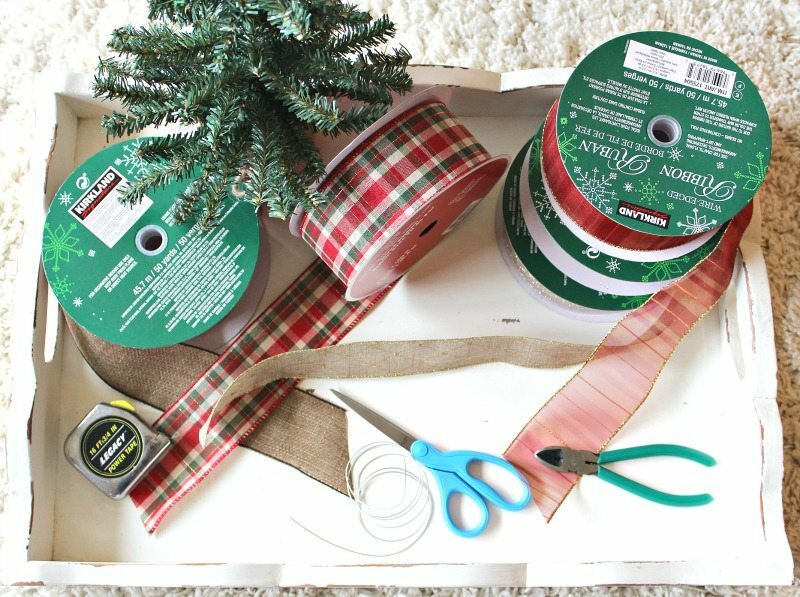 Next, wrap a piece of craft wire around the ribbon loop to secure, leaving enough wire to attach ribbon to tree. Gather your ribbons and secure them tightly with craft wire. Then spread out your ribbons so they create side by side loops and spread out the tails as you like so it looks like a flower. Now it looks like it’s ready to add to the tree…so easy and so beautiful! Hip Hip Hooray! Remember to trim the tails on the diagonal (if you haven’t already). Finally, attach in a diamond shape all around the Christmas tree. 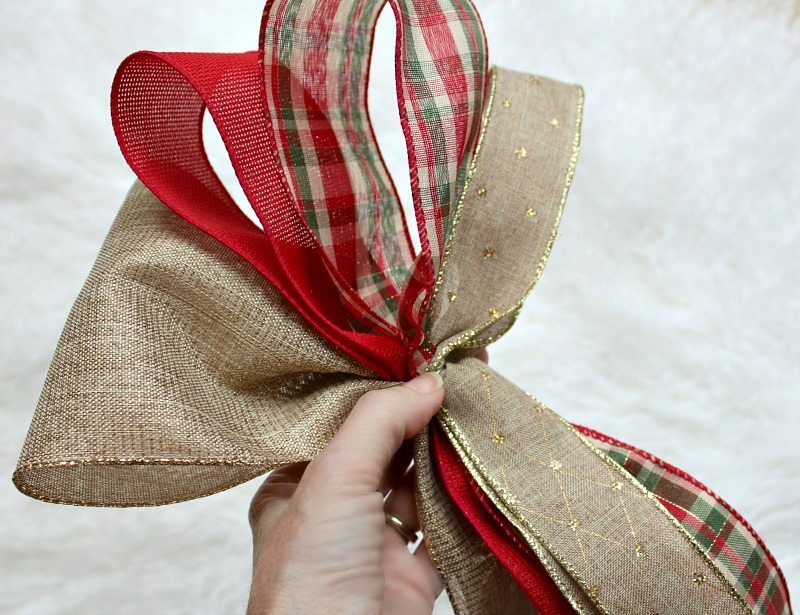 Bows are so inexpensive and easy to make, and they really add a WOW to your tree, mantle, and other Christmas decor. 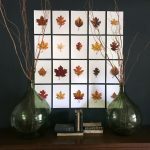 In order to create an artful tree you need to think outside the box. Besides having a Christmas tree that looks amazing, often these elements can be way less expensive than regular ornaments! Bonus! For example, I thought about what items I already owned that expressed farmhouse, rustic, country decor. I came up with two items that I had plenty of already: pine cones and cotton stems. Using wire cutters I cut up my cotton stems into small pieces to add to the tree. I recommend heading to the floral aisle instead of the Christmas aisle to find festive floral stems that add your colors and mood to the tree. Firstly, cut up your floral stems so you don’t have big clumps. Next, cluster your elements, don’t scatter or sprinkle. Finally, arrange in diamond patterns around your Christmas tree. 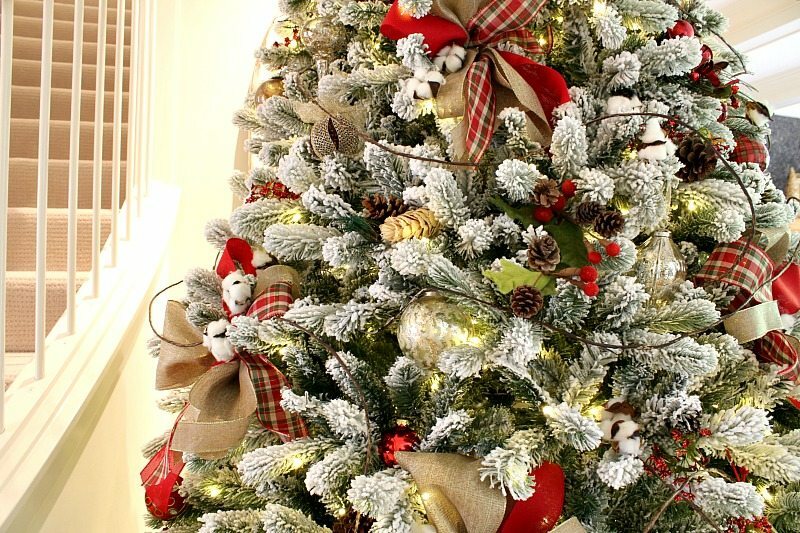 Here are some rules of thumb to artfully arrange ornaments on your Christmas tree. Don’t let ornaments dangle from long strings. Instead attach a hook at the base and attach from there to the tree. The key is to make the ornament look like it is growing right from the branch! Such an improvement! 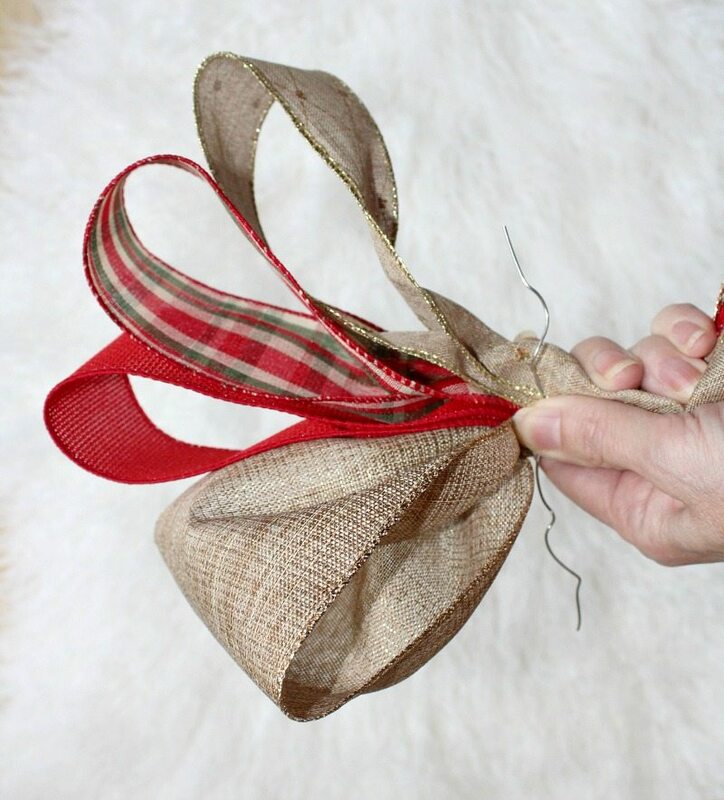 Bunch ornaments by attaching 3 together with your craft wire and attach your trio to the tree. Have your color scheme fully represented in your trio bunch. Have fun adding unique elements to your tree. 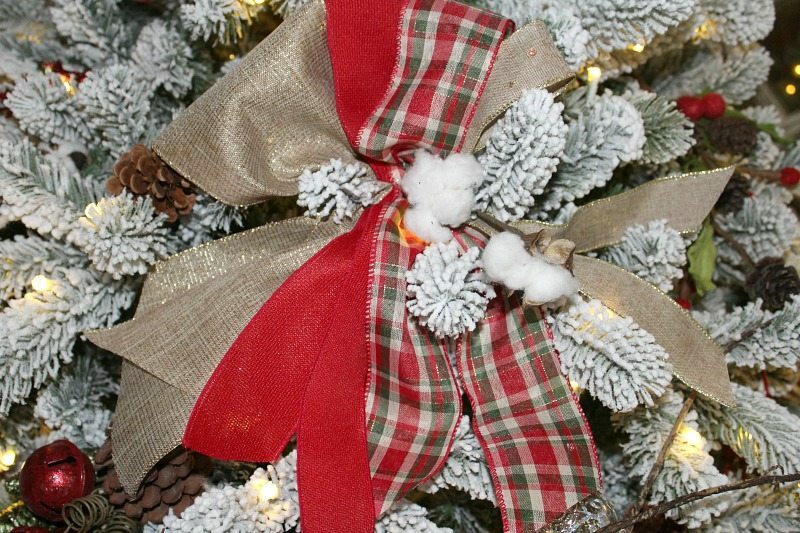 To create a rustic farmhouse feel I added pine cones and cotton stems throughout the tree. 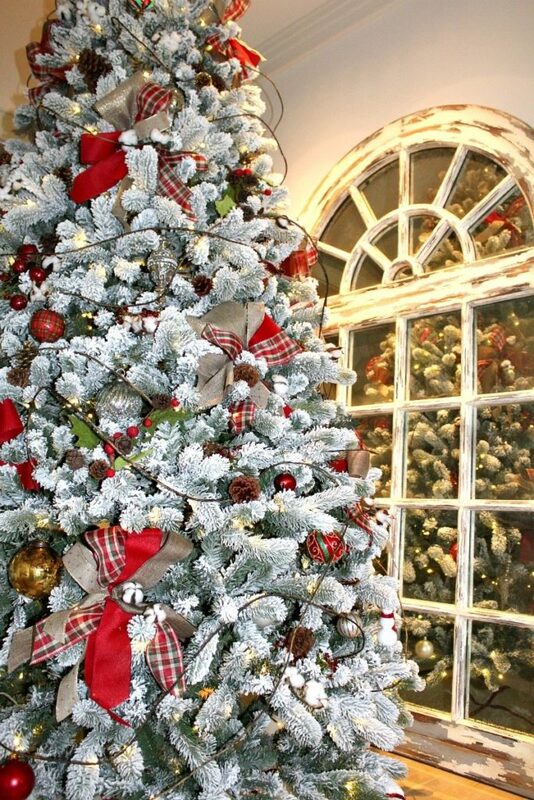 Lastly, I recommend you use some element to drape around the tree in sweeping motions to add cohesion, drama, and another layer of dimension. Most often this is created by ribbon. The other most common option is garland. Your choice of garland will depend entirely on your theme. The choices are endless, from the traditional popcorn and cranberries, to modern beads, and on and on. Since my theme is rustic I decided to use long twig-like “floral” pieces. These really added the final “je ne sais quoi” to my Christmas tree turning it into a three dimensional sculpture instead of flat and predictable. You are truly only limited by your own imagination. Get creative and enjoy the process! In summary, I hope I have given your some inspiration and motivation to create your own masterpiece. This is my true desire. If you can take away any message here it is that by thinking outside the box it is easy and inexpensive to create a tree you can be proud of. You don’t need fancy or expensive ornaments to create a magical Christmas tree that will add joy and beauty to your holiday celebrations. Happy Holidays and Happy Decorating! Want your Christmas tree to look professional? Follow these easy strategies to create a stunning masterpiece without spending a lot! Step by step easy-to-follow bow making tips. Thank you so much for this post. 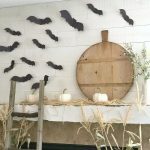 I’ve been trying to figure out the best way to get away from our normal hodgepodge tree this year and your tips will definitely help me do that. Your tree is absolutely gorgeous. Love your style. Just starting following you , can’t wait for mores inspiration . Thank you Merry Christmas!!? I love that you talked about your Christmas tree with random and handmade ornaments and how you loved it for a long time. That is what we had for many years,and I love it, and the kids love it but the last few years I’ve wanted to soruce it up a bit. This year I’m going to try these bows! Thank you for the tips! We have too many littles (currently our own 4.5 & 2.5 year old boys, and 10 months & 3 weeks old foster sons!) for a tree this year, but I will be coming back to this list in years to come! THANKS! So many great tips!! I’m learning more and more about home decor since we bought our first home. It’s hard with two small children who like to get into everything! lol, we have to make it simple and safe at least until they get older and learn to not pull off ornaments or table decor. But ideas like this, themes and color schemes are right up the alley that I want to do ! So glad to have found your blog! 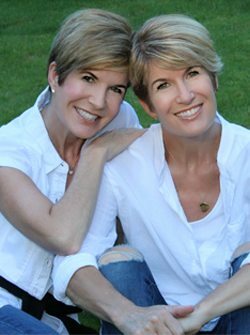 I am an identical twin! She is my best friend! Isn’t it grand! I look forward to your blog! Thank you Julie for all of the lovely tips for decorating. Thank you both for sharing yourselves and your heart for decorating. God bless and happy holiday! Do you buy the twig you used on this beautiful tree or is it from your yard? I would love to use this idea on my tree! Rhonda, OH my word! Your kindness means SO much to us! We are grateful you have found us, and we really appreciate the generous feedback. As to your question, the “twigs” were purchased. I tried researching online to find them and had no luck. The store where I got them is the boutique where I used to work and they don’t ship…But they were about 6 pieces of those twine-like branches connected together, and I just pulled them apart. What makes them better than the yard is a) no potential for bugs and b) these were easily bendable and manipulated in curving ways. Thank you again for you sweet comment. We appreciate you! Loving the burlap and plaid! Thank you! Welcome Mel! We are so glad you made it over here to our blog! Thank you so much for reading and taking the time to write a kind reply! I don’t know what the deal is with me and plaid, tartan, and burlap…but I basically cannot get enough!! 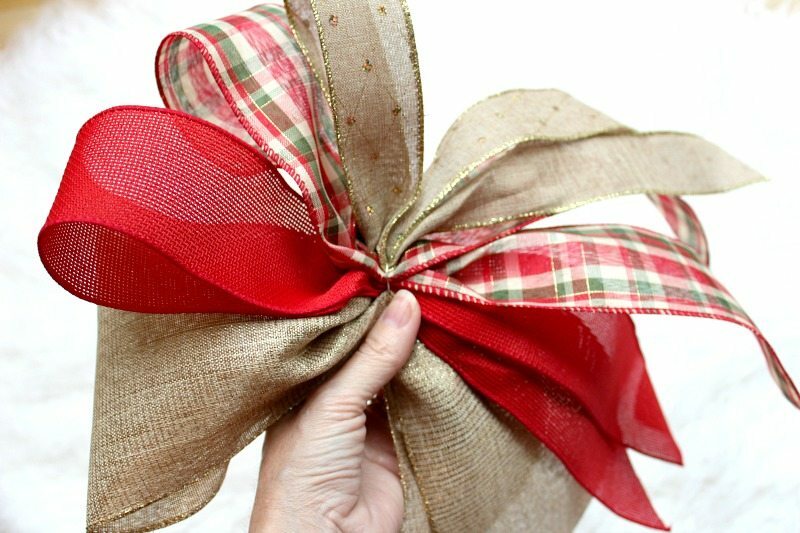 I think it’s my growing fascination with farmhouse style, which goes vintage, traditional, old world, rustic, country, cottage…and all of that means Christmas must have plenty of plaid and burlap! This was beyond helpful. My plan is to do a red and gold tree in my formal living room and leave the kids to decorate the family room tree as they please. Thank you for the inspiration! 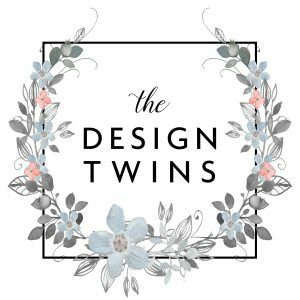 Welcome to our blog, Brooke! Thank you for reading and your kind reply. It really means a lot to Jodie and me. And hearing that this post helped give you ideas just makes my night! I’m sure it will be a smashing success. Come back and let us know it goes. We hope we can inspire you many more times in the future. Happy Holidays! I appreciate this so much, thank you! 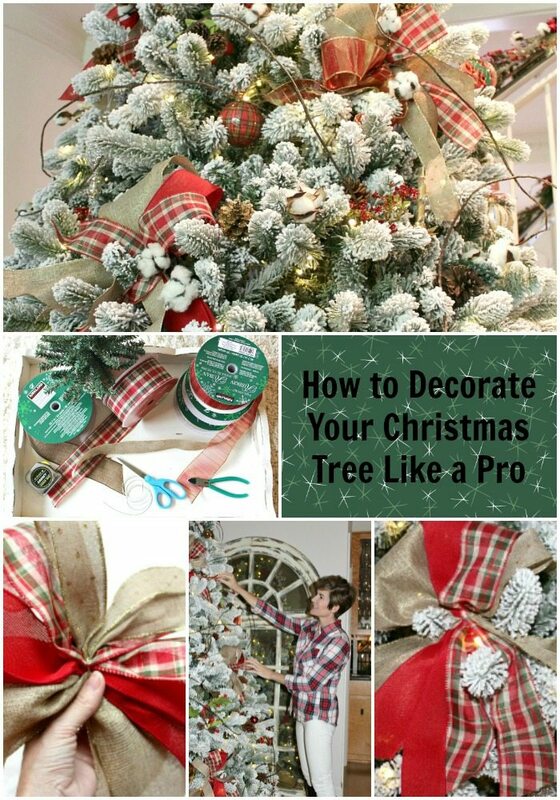 I just want my tree to look good and I think I can apply these tips but my, I still don’t think it will look as amazing as yours does! A girl can dream! Welcome to our blog, May! How it warms our hearts to hear that you liked the blog post and benefited from our ideas! Yay! It really does make it all worthwhile. We are sure your tree with be fabulous. Because we promise…it is not hard. You got this, Girlfriend! Cheers and Happy Happy Holidays to you and your family. We’re so glad you enjoyed it! Thanks for taking the time to comment and share your thoughts. We really appreciate it!. I absolutely love your ideas! 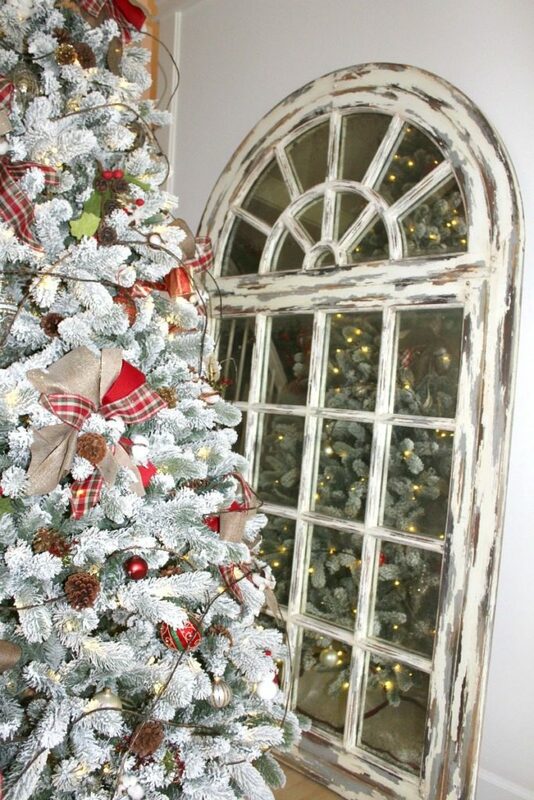 Christmas is only a couple of months away and I cannot wait to decorate our house! Your bow concept is great. I’d like to decorate our tree with that instead of just wrapping it in garland. Thanks for the great tips! I just got my first home, and I am starting to think about how I will decorate it for Christmas. I liked that you pointed out that I don’t need to go crazy with expensive ornaments to get a good look. It seems like having a few expensive ornaments placed well can help give the tree a better look. 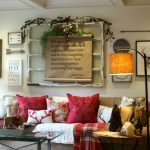 We are so glad you got some ideas for decorating your home for the holidays! Jodie and I hope you continue to find inspiration on the blog in the future! Christmas tree decorating is very hard work. Most of the people don’t understand how to decorating Christmas tree. 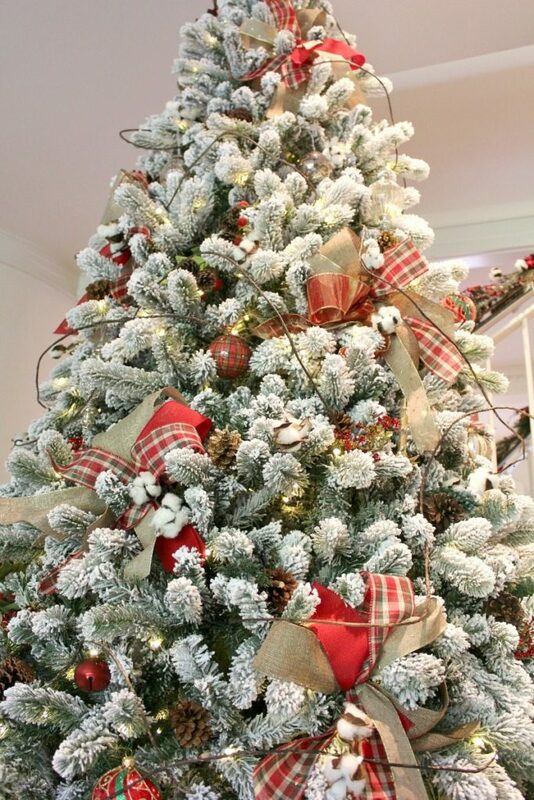 Your blog is very helpful for decorating Christmas tree. Thanks you share the useful tips. 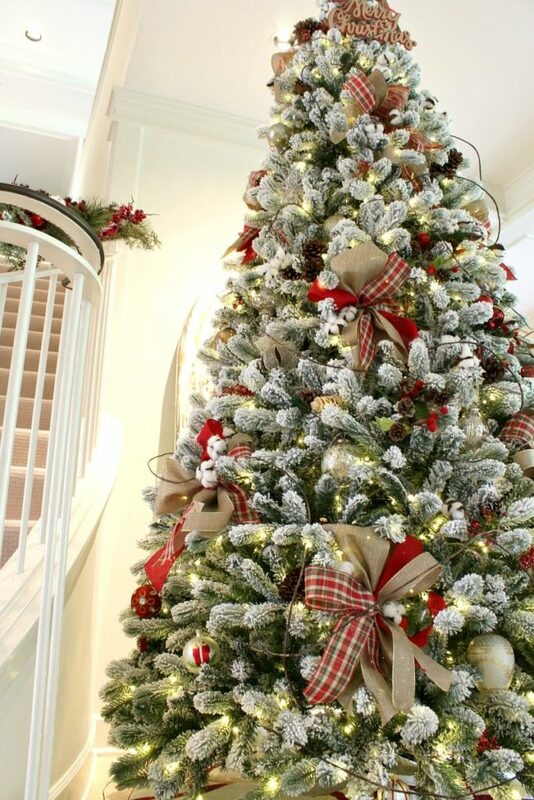 We are glad these tips for decorating a Christmas tree were helpful to you! Thank you for the kind comments and we hope to see you on our blog in the future! I am getting ready to decorate my Christmas tree soon, so thanks for these tips! I like your point about not letting ornaments dangle from long strings. I’ll try putting the hook at the base of the branch so it looks like an extension of the branch.